A Brand new unseen European village from exquisite developer, Land & House, located on Bangna-Trad K.M.7 close to Mega Bangna where is all you need.Gorgeous and luxury decoration for executive residence.secure compound with premium security and great facility.Feature 4 bedroom 5 bathroom, spacious 440 sq.m. on land area of 150 sq.m. plus a beautiful outdoor recreation area. Elegant Contemporary 4 Bedroom Apartment 356 sqm Elegantly designed with a contemporary interior, this four bedroom and four bathroom apartment is definitely a perfect home for you and your family! It is conveniently situated at the heart of the cosmopolitan soi Bangna - giving you easy access to what the city of Bangkok has to offer. Elegant Contemporary 3 Bedroom Apartment 320 sqm Elegantly designed with a contemporary interior, this three bedroom and three bathroom apartment is definitely a perfect home for you and your family! It is conveniently situated at the heart of the cosmopolitan soi Bangna - giving you easy access to what the city of Bangkok has to offer. 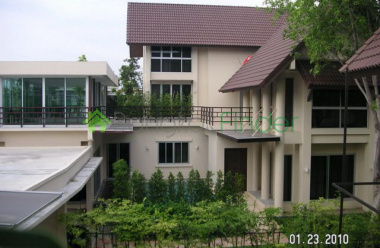 3 bedrooms house for rent 260 sqm Bangna In a safe and secure 'mooban' or gated community and near the Ruamrudee International School (RIS) and Bromsgrove International School and opposite the Big C Supermarket, Home Pro and Tesco Lotus. Super handy for all of these but not too far from the downtown attractions with the BTS just a sort mosike ride away. Condo rent Bangna Srinakarin 2 bedrooms 135 sqm On the increasingly important eastern side of town where there are a number of important gated communities and international schools and the area is also a gateway to the industrially important Samut Prakan and as such this condo serves as a useful location strategically placed between downtown Bangkok and the south and east. 4 bedrooms 350 sqm Bangna detached house A huge 350 square metres with four bedrooms and four bathrooms providing loads of space for the kids and the whole family in a detached house that is beautifully designed and built in a fresh, contemporary style. 3 bedroom 200 sqm House Bangna BangkokThis is a beautiful two story house designed, built and finished in contemporary style for ease of access and comfort with lots of light and a spacious ambiance covering two floors, three bedrooms, three bathrooms and loads of space to spread out and with a terraced garden too. 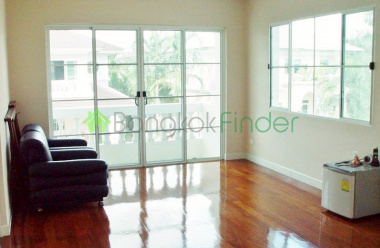 4 bedrooms 220 sqm Bangna Bangkok condo This is a fantastic and very spacious condo situated away from the main city but close to international schools and other family amenities, and with a huge range of services and amenities within easy reach on Bangna-Trad. 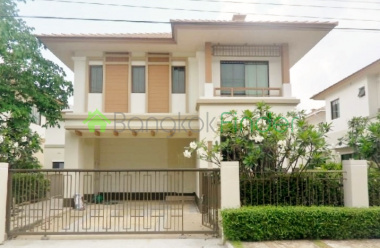 House for rent Srinakarin 3 bedrooms Lovely detached, modern house for rent with garden and pool and a wonderful place to bring up a family near to international schools, hospitals, shopping and a huge range of lifestyle malls. The house has great balconies too and three bedrooms and three bathrooms, with a combined space of 280 square metres. 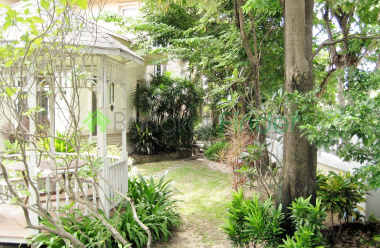 House for rent 5 bedrooms Suk 107 This is a charming property close to international schools and in a private haven of peace and quiet, but part of a dynamic but discreet residential community. 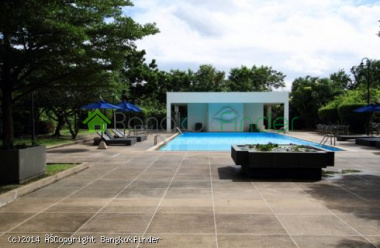 House for rent 5 bedrooms pool Bangna Genteel, expansive house for rent in the quiet of the city suburbs but with great access to expressways and local amenities. The property affords 450 square metres of living space with a large garden and private pool and lots of room for the kids to play - inside and out. 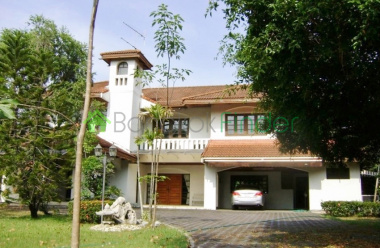 House for rent 4 bedrooms Bangna This is a beautiful house for rent in a secure compound with great resort-like outdoor facilities, and a very tasteful, feature-full, elegant house with loads of space and privacy combined. With easy access to international schools, hospitals and a huge range of local amenities including department stores, malls and supermarkets. 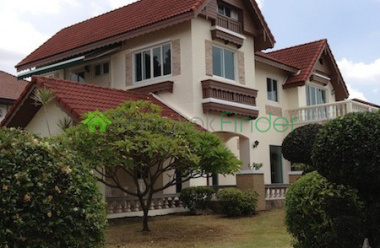 House for rent 5 bedrooms 450 sqm Srinakarin Beautiful detached house for rent in its own grounds looking every inch the part the home of the successful businessman, and with all the extras a well-built property like this has to offer. House for rent 4 bedroom 115 sqw Srinakarin A great location for access to Chonburi or Rayong and of course to the best international schools. 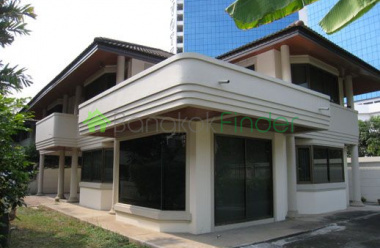 This very fine house for rent is in the secure Moo Ban Park Avenue next to the Novotel Bangna and opposite the Supalai condo very close to Central Bangna, Paradise Park and Seacon Square. 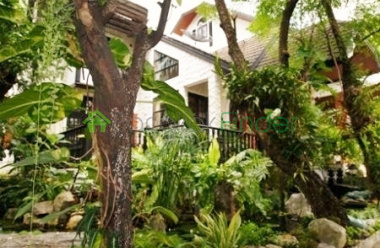 House for rent 4 bedrooms 324 sqm Suan Luan Very elegant, very classy house for rent tucked away from the noise city and with space for the kids to play outside and in, with loads of room for the entire family in a house with 324 square metres of available space. 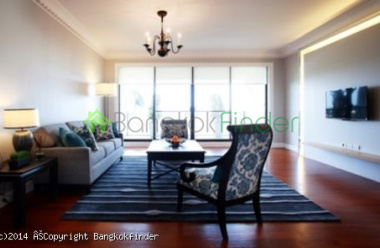 2 bedrooms 150 sqm Bangna Bangkok condos Magnificent condo at the heart of the Bangna-Trad community, but still within easy reach of downtown Bangkok should the need arise. Great road access and the new BTS station at Soi Bearing is a bike ride away. 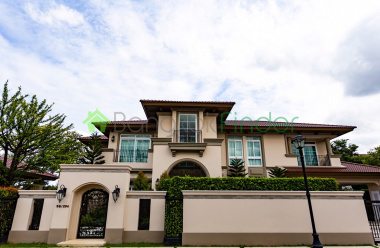 House for rent 4 bedrooms 330 sqw Srinakarin Striking home with stunning facilities, design and furnishing built almost as a mansion than a mere house. Fantastic attention to detail in construction makes this a stand-out house for rent in a quiet and restful area with easy access to expressways, downtown and international schools in the area. 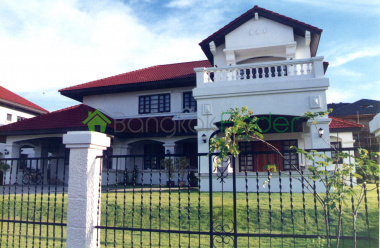 House for rent 5 bedrooms 500 sqw Bangna A large five-bedroom house for rent next to a lake is now available for rent. This lovely house will make you feel like home with lots of room, storage, yard, and car park. For your privacy and comfort each bedroom has a build in bathroom. There is also a family room on the second floor that can be converted in to a study. House for rent 3 bedrooms 200 sqm Bangna-Trad Single house for rent at Bangna-Trad, the house has three bedrooms, four bathrooms, a maid's room, kitchen, living room, dining room, partly furnished with brand new living-dining furniture set, easy access to Bangkok Patana School, Chonburi motorway, and shopping malls. House for rent 3 bedrooms 79 sqw 310 sqm Srinakarin Offering clear expressway access to the industrial belt of Chonburi and Rayong provinces, or to the city itself, this very clean and spacious 310 square metre, three bedroom, four bathroom house for rent in Bangna-Srinakarin Bangkok comes with a lush green yard and garage. House for rent Srinakarin 3 bedrooms This great house for rent offers tremendous value for money just a three-minutes walk from the Baan Thap Chang airport link station, in a private Moo Baan called Lalin Green Ville in Prawet. The location is very convenient, and the train link gets you to Asoke in just 15 minutes and 20 minutes to the BTS station at Payathai. Houses for rent 1 big 1 small Srinakarin Houses for rent, one big, one small on Srinakarin. Can be modified, modelled as a Spa, Restaurant or Office. Properties on Bangna-Trad Road at Km 1 on Bangna-Trad Soi 12 leading to Soi Lasalle sub-soi 29. Three hundred metres from main Road, and 1.5 km to BTS station. 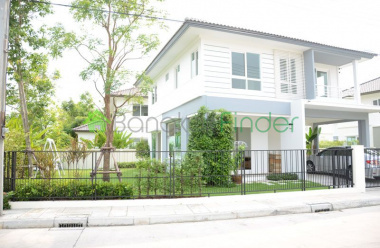 House for rent Srinakarin 3 bedrooms A lovely house for rent with fantastic design features, beautifully furnished and finished with a homely feel but in modern style. It has three roomy bedrooms and three bathrooms to avoid those early morning queues, and loads of space to set up study areas or an office and still have room to spare. 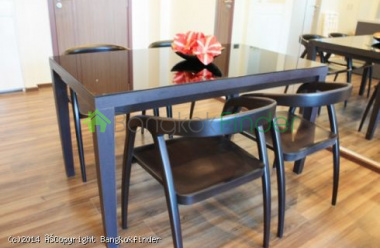 House for rent Srinakarin 3 bedrooms A fully-furnished three bedroom, three bathroom house for sale and rent near Rama IX Royal Garden, Carrefour, Seri Center and Seacon Square. Just 15 minutes from Suvarnabhumi airport, this is a detached house covering 250 square metres with lovely furnished bedrooms, two phone lines, a kitchen and a maid's room.